Although Chipotle spent much of 2016 attempting to lure you to its restaurants with numerous promotions for free burritos, the chain hasn't done much in the way of free food deals so far in 2017. Thankfully, that finally changed on Tuesday, when the burrito purveyor launched a new online game that rewards players with free chips and guacamole. The game, or "'Cado Crusher" is super simple. 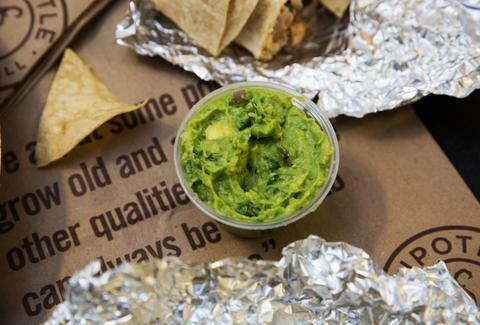 All you have do is smash Chipotle's guacamole ingredients -- avocados, red onions, lime, cilantro, salt, and jalapenos -- Whack-A-Mole-style for three rounds before the time runs out. At the end of the game, Chipotle will reward you with a mobile coupon via text message for a free order of chips and guacamole that's redeemable at any Chipotle location in the US. Unfortunately, it comes with a bit of fine print: the coupon is only good with the purchase of an entree and you have to use it by February 28th. All said, the promotion isn't as good as Chipotle's previous free chips and guac giveaways, but at least you'll get a little something extra the next time you grab a burrito for lunch. Tony Merevick is Cities News Editor at Thrillist and needs more guac in his life. Send news tips to news@thrillist.com and follow him on Twitter @tonymerevick.